Mining is very profitable at the moment, but all graphic card SOLD OUT ?? 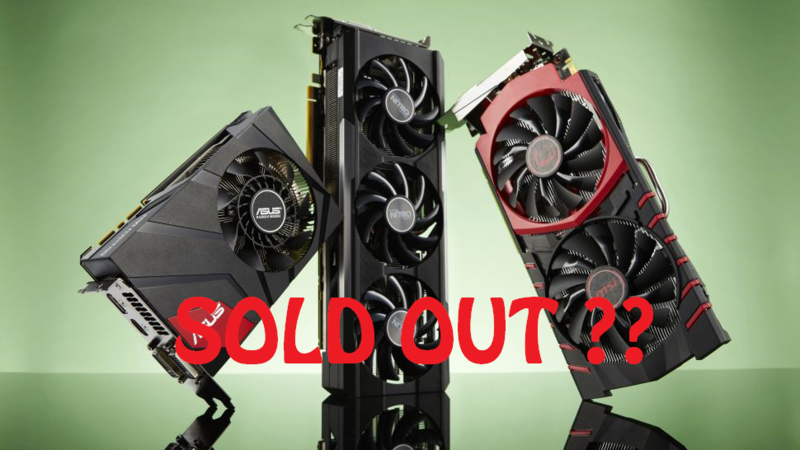 In europe on june all graphic card are sold out, AMD graphics cards are in high demand due to crypto currency mining. The AMDs cards have a better hash rate making them a better card for mining. A big movement exists called crypto currency and this allows your GPU to "mine" for solutions to math problems. Joins a pool of other miners and they share in the compensation for finding solutions via the graphics card. I hope the mining with graphics card is not for bitcoin. Bitcoin mining is now for professionals and not laptops. I have to look at altcoins and see.